Drive Off in a New Volkswagen Today. You Deserve to Enhance Your Daily Commute: Treat Yourself to a VW vehicle from Volkswagen of Garden Grove in Orange County, Serving, Anaheim, Anaheim Hills, Brea, Costa Mesa, Fountain Valley, Santa Ana, and Yorba Linda. Here at Volkswagen of Garden Grove, we know our Garden Grove area drivers work hard, play hard, and need a car that can keep up. That’s why we choose to offer the Volkswagen lineup at our dealership in Garden Grove. If you’re interested in learning more about your match, stop into our New VW Showroom and treat yourself to a test drive. When you’re in the market for a new 2018-2019 Volkswagen in the Anaheim, Brea, Buena Park, Fountain Valley, Fullerton, Orange, or Santa Ana area, then you’ve certainly made the right choice coming to Volkswagen of Garden Grove! With a plethora of new VW Jetta, Passat, Tiguan, CC, Golf SportWagen and e-Golf models in stock, you’ll have plenty to consider before making the big purchase. Find something you like? Jump behind the wheel for a spin and get a taste of what you’re missing in your life. When it comes to the used cars and certified pre-owned vehicles at Volkswagen of Garden Grove, our vehicles don’t have to be fresh off the production line to be high quality. That’s because we go the extra mile in making sure that each and every model that gets slated for sale undergoes a thorough inspection first. You may be looking at a used car, but it’s certainly new to you. We want to make sure that it looks and drives that way, too. When the search for your next car ends, that’s where the fun begins for our team of auto financing experts. They love searching for the best possible car loan or Volkswagen lease solution for your needs in order to ensure you drive home completely satisfied, both with the vehicle you’ve chosen and the terms of your financing. Simply put, you’re in good hands with Volkswagen of Garden Grove by your side. So you’ve driven off the lot and are on your way home, but out of sight certainly does not mean out of mind. Our on-site car service and repair experts are at your beck and call when you need routine maintenance or a bigger fix, if necessary. We only use genuine Volkswagen parts, so you can be sure that quick and quality work is the name of the game. 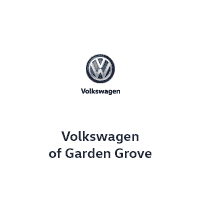 What else does Volkswagen of Garden Grove have to offer? Aside from expert knowledge in everything automotive, we simply love serving you. So come see us today, conveniently located at 10800 Trask Avenue in Garden Grove, California near Orange, Anaheim, Brea, Fullerton, Fountain Valley, Santa Ana, and Yorba Linda. Be sure to bring your questions, and be ready for answers!